You are in a most auspicious time. You are embroiled in the eclipse energies that are affecting every living thing including the earth. How much is dependent on you, your intentions, your drive and desire to no longer be who you were before. This is not about becoming a new person or leaving your current place on earth. This is about embracing and welcoming who you truly are. In order to do that you must be willing to undo and move through all that no longer serves. There have been many important times in the recent years that have given humanity a much needed boost in the ascension process. These have been astrological events coupled with perfectly timed codes that activate areas within your mind and body. None have been as important as the one you are in right now. However, please understand that none of this will help you to the degree it can if you are resistant, holding onto beliefs and patterns or are simply losing old beliefs and incorporating new ones you acquired while awakening. Now is the time to let all that go, let go of anything that cause you to feel tension or strife within your body. When a body is full of tension, anger, or anxiety it is not able to process the codes streaming to the earth properly. This is why so many are exhausted as the body is forced to shut down and sleep allowing the codes to make changes within without the interference of ego and the thinking mind. The more you release yourself from the thoughts and behaviors that cause the body to feel tension the more seamlessly you will be able to handle downloads without your body having to rest. Many are ill and uncomfortable in these moments. Some of this is a function of detoxification an in some it is a way to force you to slow down, even stop, so that your body can assimilate all that it can, In the fastest period of time. Honoring the body when it needs rest will help you tremendously. Some of you are experiencing reoccurring infections, pain or illness to specific areas of the body. These are clues to what you may be resisting. The sinus cavity and teeth hold limiting beliefs and old programming. Is there a part of you that is resisting your unlimited potential? Your lungs and throat often hold deep emotions and trauma. Is there something or someone, even yourself that you need to forgive? Is there grief that you are holding? Your back, shoulders and knees are also common areas that some experience pain. We ask you, do you feel that you are not supported? Do you feel as if you the weight of the world bearing down on your form? Are you taking responsibility for things you cannot control? Are you unable to surrender fully to this process? We give you this information so that you can look at how you are handling the energies so that you can see areas where you are still holding on. As we explained in the last transmission everyone will be or has been disconnected from the old grid and reconnected to the new. We expect this to be completed by April 6th. 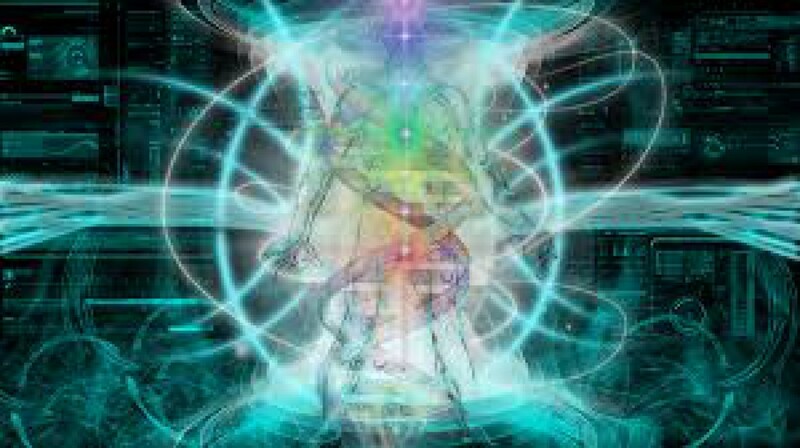 For those that have already been connected to the new grid, they may find that their thoughts and behaviors that need changing, need reprogramming are becoming very apparent. They will feel almost foreign or out of place. This is a wonderful opportunity to choose to see things differently, to do differently. This is a perfect time to leave victimization behind and understand that all is in your highest good. There is nothing in your world that has not been agreed upon by the highest aspect of self for your learning and growth. Once you understand that all is beautifully orchestrated even when it seems to be chaos, the more you will experience peace. Once you surrender to this knowledge you will then become the master creator you are meant to be. We ask that everyone be mindful of their thoughts, behaviors, and routines. Look at what is helping you and what is not. Often it is not a person or circumstance that is hindering you but your beliefs and expectations surrounding it. This is a powerful time to create new in your life, to push your limits and potential. For those that are experiencing endings, it is a new beginning to be faced fearlessly, joyfully. As with most transmissions I am filled with questions, I share them with you in case you have similar questions. I have had incredible teeth pain that will come and go and will move locations. Is this me holding onto limiting beliefs? Yes, that is a component. These need to be released by getting to the root cause of the belief. Where did it start? Go back in your mind and see how it has evolved into something you are not able to see past. Also, the cranium and sinus cavities are being expanded. Teeth are shifting to accommodate this and intermittent discomfort can be experienced. I recently was faced with a situation that in the past would have sent me into fear. Fear of lack (money issues) and fear of the potential outcomes. I could feel the fear bubble up but then it was like a part of me saw it clearly and was able to stop it in its tracks. I told myself that if it happened or would happen that it is absolutely in the highest good and if it cost us money that we would be ok and the money would come. Is this what you mean by choosing different? Yes. How did you feel once you made that realization? I calmed significantly and was able to think clearly without fear and anxiety. Since that moment the fearful thoughts will pop up now and then, but before I get upset or anxious, I am able to stop them from taking hold. Good, this is how you step into the new. Thank you, I am honored! I feel confused… My son married a selfish person. We saw him, and sometimes her with him, only 16 times throughout 2014. When she isn’t with him she keeps calling him about when he will be home. This is heartbreaking for my husband, other children, and me. I asked all my four children to join us to dinner, if they could give us just two hours of their time. Both my son and his wife felt I singled them out. If one feels guilty then maybe, Yes, it would resonate those feelings. He never told me he was offended, yet, in speaking with his sister, told him he wanted me to apologize. They exchanged words. He posted a very bad comment to her referring for both of us to go… This, of course, was the worst he could have done. Then and there I realized I could not continue with his/her drama. I called him, he did not answer. I called the next day, he said he was busy. I did not call anymore. A few days later, after I had been meditating, he calls. He says you have something to say. I asked him to give me a minute. Then I told him how I felt; disappointed, sad, and truly upset especially by his words to me. I told him I cannot live with this drama anymore. I said that I am releasing him from spending time with us. Do you like that? He said no. I just can’t keep waiting for him/them to be with us. They spend numerous times weekly with her parents. They do everything with her parents, cousins, relatives, yet won’t give us 2 hours to be together over dinner.That is my current, for me huge, problem. I keep reading…..release what doesn’t serve you anymore….. He is my son. My child. Why as his parents must we beg for them to join us more often-? Worst part is that she posts pics of them doing things with her family. She will not post photos of our granddaughter for us to see. It is five weeks since this conversation. I was telling him that I Love him and will continue to think of him and to pray for him, but I cannot continue this way. Then I read about forgiveness….. I keep juggling this. Have I made the right choice by “letting him go?” Either way, it just doesn’t feel good. Thank You for this powerful, informative post. Great understanding and affirmations that are brought forth. So many pieces identified with, yet knew there was meaning beneath the issues. Just had 2 teeth extracted. And the issues that extended from them I intuituvrl knew. Yes, too my shoulder and knee. Interestingly enough, it had come to me about feeling this of the world. Unsupported afraid that there was no one. However, I get it now! What an amazing journey we choose. Especially when we discover our true essence in those darkest moments as we unveil that which was never really based in truth no matter out experienced in this lifetime. Divine Blessings and Gratitude too You. I needed to know this right this minute! Thank you! It is an amazing time! Such awareness we are gaining! It really is exciting times! I know it is exciting! It’s the big leaps we have been waiting for! I asked my spirit guides and they said that most digestion issues right now are a function of clearing out the density. However, with chronic issues it could be that you need to look at what in your life are unable to digest or accept? As far as the heart, what I heard was that heart issues often have to do with fear of being hurt, a literal blocking off of your heart. Try laying with a rose quartz crystal over your heart/higher heart chakras to help. If you would like a reading where we access your spirit guide, I would be happy to help. Here is a link https://channelingthemasters.wordpress.com/loved-onespirit-guide-readings/ Good Luck and I hope the info helps. My heart hurts for you as I read what you are going through. It brings me back to a situation with a child I took in. She had taken advantage of us a few times, but we always let her back in. This last time she started using coke and other drugs and since she was over 18, we couldn’t force rehab. So we made her leave. I went back and forth in my mind so many times wondering if I had done the right thing. What I have learned is that she is a teacher for me. Her behavior forced me to put myself first, my highest good first. I was so worried that I wasn’t loving her unconditionally or being heart centered. The truth is the first person you need to love fully and unconditionally is you. Being heart centered does not mean that you have to be a door mat or a punching bag and the minute you stop being those it DOES NOT mean you no longer love the other person. What it means is that you put your highest good first, you understand that there is a lesson in this and that each person has their own path and experience. Forgiving someone doesn’t mean that you have to accept their behavior or be a part of it. We have to allow all souls, especially our children to experience and learn their lessons, even if we know it will cause them pain. I hope this helps and brings you peace.